Hello friends! JEM Personalized Interiors, LLC is a custom drapery shop in St. Louis, MO. Since 1993 we have helped customers beautify their living areas, mostly by word of mouth from highly satisfied customers and designers referring new residential customers. JEM’s approach to design and consultation is truly collaborative, drawing upon years of success, talent and training – to help each client find and define their own individual style. The results speak for themselves, as you can see from our website of a sampling of some beautiful examples that JEM is known for – total personalized solutions. 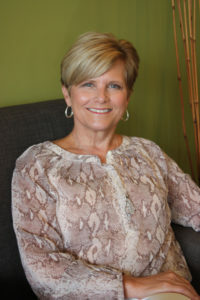 JoEllen Reinwart, owner of JEM Personalized Interiors is a credentialed Window Fashions Certified Professional (WFCP), as well as Window Covering Assn. of America (WCAA) founding member of St. Louis Chapter, currently serving as a National Board Member. JoEllen is also involved in Drapery Pro and Facebook Professional Workroom and affiliates. Along with JoEllen’s expertise in selecting the right design and fabrics comes her expertise within her own custom workroom, as she makes many of the window treatments you are about to view, fabricated using the highest of industry standards for the most upper-end quality available. JEM Personalized Interiors guarantees that your custom made products will enhance your home or office for years of beauty and performance intended to last well into the next decade.